Turkey has seen its share of political controversies lately, including large protests and a government ban of Twitter. Despite that, the ruling party appears to be maintaining its popularity. But now it may face a split in its highest ranks. There's competition brewing between its two main figures: President Abdullah Gul and Prime Minister Recep Tayyip Erdogan. NPR's Peter Kenyon reports from Istanbul that many are wary of Erdogan's growing power. As Ukraine seeks international help to bring Crimea back from Russian control, residents of Odessa watching warily. The historic Black Sea port has been conquered repeatedly throughout history. 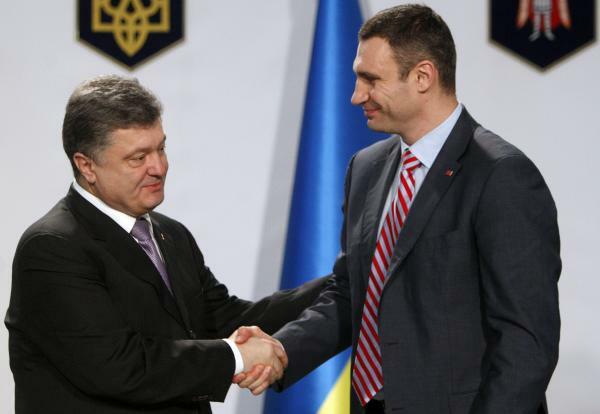 Boxer-turned-opposition leader Vitali Klitschko, right, dropped out of Ukraine's presidential election set for May 25. He says he will help business tycoon and politician Petro Poroshenko, left, who made a fortune selling chocolates. He favors closer ties with the West. After a winter of lightning-fast changes – a president ousted and a peninsula apparently lost to Russia — Ukrainians are beginning to look ahead to elections on May 25 to replace Viktor Yanukovych. The opposition leader who seemed to have the inside track a few weeks ago, ex-world champion heavyweight Vitali Klitschko, has taken himself out of the running. Klitschko will stand for mayor of Kiev and throw his support behind billionaire Petro Poroshenko, who made his fortune in the candy business. Iranian President Hassan Rouhani delivers a speech during an annual rally commemorating the anniversary of the Islamic Revolution at the Azadi Square in Tehran, on Tuesday. Rouhani called for "respectful, constructive" nuclear talks with world powers — a departure from the hard line of his predecessor, Mahmoud Ahmadinejad. Iran on Tuesday marked the 35th anniversary of its Islamic revolution, a day when the country's religious conservatives and military hard-liners take center stage, and calls of "Death to America" echo across the country. In Tehran's Azadi Square, one man waving an orange "Down with the USA" flag condemned the U.S. and Israel, and then, perhaps not sure of the nationality of the reporter standing nearby, threw in England and France for good measure. And I'm Steve Inskeep. Iran is marking the anniversary of its Islamic revolution. It's the 35th anniversary of the protests that ended in 1979 with the overthrow of a U.S. ally, the Shah of Iran. 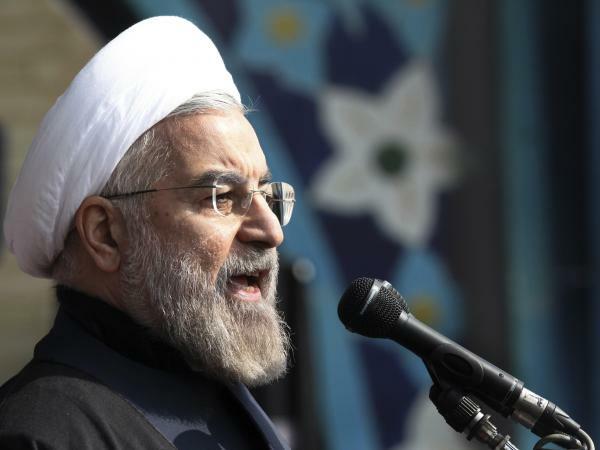 The government that has ruled ever since uses Death to America as one of its basic slogans but the possibility of better relations emerged after the election of a new Iranian president last year. NPR's Peter Kenyon is in Iran. Hi, Peter. The fifth century Byzantine Stoudios monastery in Istanbul housed a church and was later turned into a mosque and then a museum before falling into disrepair. 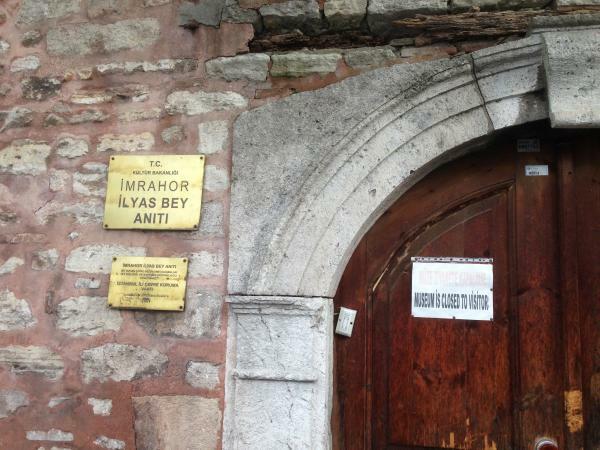 A historically significant but now-crumbling fifth century Byzantine monastery in Istanbul is finally slated for restoration. But for Turkey's dwindling Greek community, the bad news is that the government wants to turn the Stoudios monastery into a mosque. It's just one of several such conversions of historically Christian sites that the government is considering. And there's even talk that the Hagia Sophia, the most famous Byzantine structure in modern Istanbul, will be reconverted into a mosque. Negotiators from Iran and a six-nation group are scheduled to resume talks on Iran's nuclear program in 10 days. Talks ended on Saturday after an agreement was not reached on an initial proposal to ease international sanctions against Tehran in return for some restraints on its nuclear program. Negotiators from Iran and six world powers resume talks Thursday in Geneva on Iran's nuclear program. Iran's Supreme Leader says he's not optimistic, and U.S. officials say "no deal is better than a bad deal." Still, Iran's desire to get out from under crippling economic sanctions may drive progress forward despite the long odds.